This must be a living document, as new references occur all the time. Therefore we call on readers to inform us of any additional references that need to be added. While these ten files were edited based on APA standards, inevitably a work of this length will have some issues of spelling, grammar, and consistency of style. We live in an era when editing is crowd-sourced and the Wilmette Institute does not have the capacity to re-edit these files extensively without your help. Therefore we call on you, the user, to inform us if you spot problems. The easiest thing to do is to download the pdf, save it as a Word document (or write us for a copy in Word) and use “track changes” when you edit. We welcome your involvement in this project and hope it will produce a continuously updated and refined bibliography of references. We also hope it will stimulate similar projects to create bibliographies about other minority groups and specialized subjects. Littlebrave Beaston (Tsimshean, Makah, and Greek) received her Naturopathic Doctorate and Masters in Acupuncture at Bastyr University and her M. Ed in counseling from North Dakota State University. 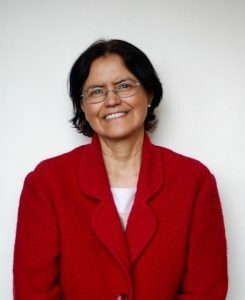 She has been a Bahá’í since 1969 and has experienced Reservation, rural and urban, large and small, heterogeneous and homogenous Bahá’í communities. For fun she loves Devotions, Feast, going to the House of Worship, swimming, hiking, cooking, good conversation, and helping people reach their full potential and make their contributions. To that end she hopes that this research will inspire others to select a strand and write more. The field is wide open when it comes to writing about the many inspiring tales of American Indian Baha’is. Perhaps this will help.